September Is basically the first month of Autumn, The weather starts to turn, and gets colder, and i don't know about you but it is one of my favorite times of the year. I get to snuggle up in a big baggy jumper, light a few candles and watch a film. September is kind of a cross over period, its not quite summer any more, but its only just Autumn. Some days are sunny, some are raining, and some are freezing cold. So every day is different but your autumn wardrobe comes out, and i love Autumn/Winter fashion. I also cant wait for September to be over and to get into October! But heres a few things i personally like about September. Maybe a few of you like some of the same things as me? 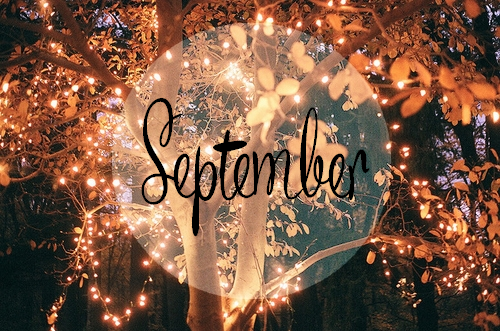 Enjoy your September as much as i will!